Tom’s unique lead generation methods have allowed him to transform from an accountant who had never done a deal in his life to a full time investor who has acquired over 100 discounted properties in to fix and flip, wholesale and buy and hold without using his own money. Tom Cafarella is the co-founder of Ocean City Development, a real estate investment company based out of Boston, MA. Tom has always dreamt of following his grandfather’s footsteps. His grandfather was a very successful landlord in his local community. It didn’t take long after Tom got fired from his accounting job to get started in investing in real estate. On today’s episode, we talk with Tom about his inspiration to learn about real estate investing. You’ll learn how Tom made $115K on his first real estate deal without having any money. 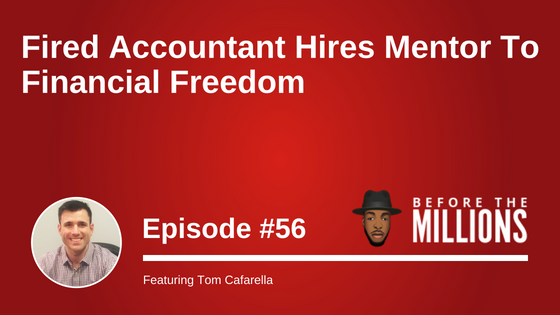 Tom shares his story on how he built up the courage to start his real estate investing career after being fired from his accounting job. You’ll learn the importance of having mentors to guide you along your journey as an investor. Lastly, Tom shares how to leverage digital advertising and platforms to find motivated sellers and generate leads. Access The Best Strategies, Tips & Advice! Marco Santarelli purchased his first real estate investment at the age of 18. He successfully handled the entire rehab and property management of his first property without ever taking a course or reading a book on the subject. Marco is an investor, author, and founder of Norada Real Estate Investments — a national real estate investment firm offering turnkey investment property in growth markets nationwide. 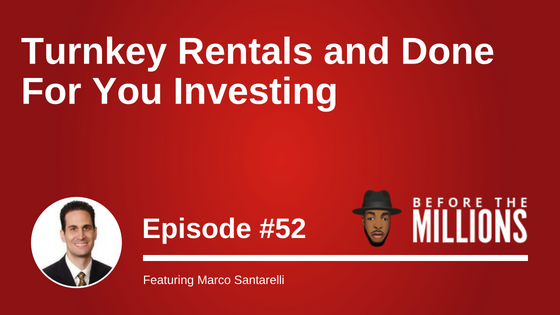 On today’s show, we discussed how Marco got his start in real estate and what inspired him to start his company, Norada Real Estate Investments. 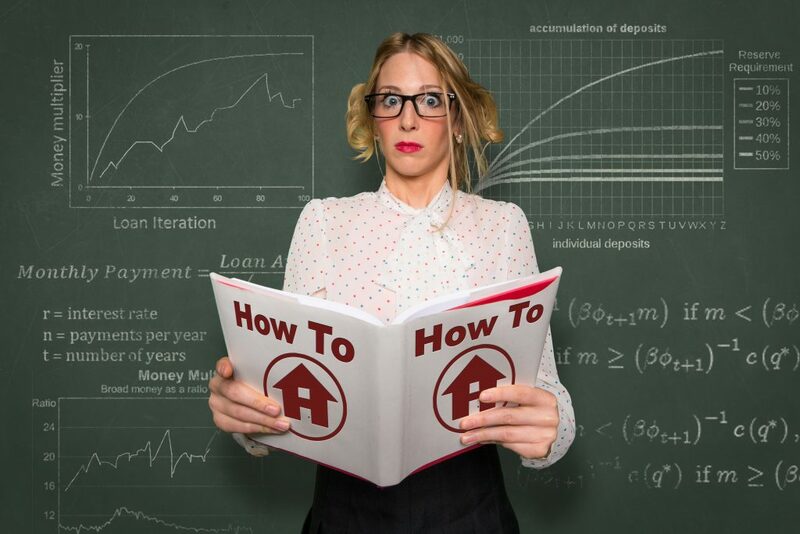 You’ll also learn the importance of educating yourself on real estate, asking the right questions and taking action. Marco talks about why real estate is a great place to create and store long-term wealth. 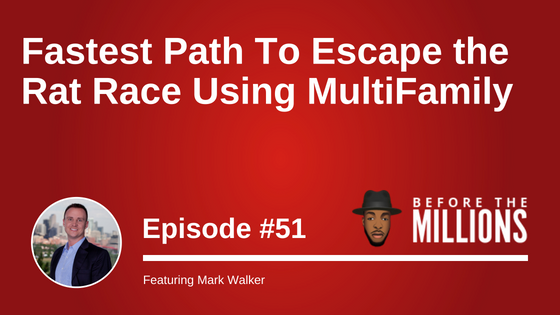 In the episode, you’ll learn what turnkey investing is and the pros and cons of active vs. passive real estate investing. If you are looking for a group of individuals that look after their own and help real estate investors far and wide, then I encourage you to join our Facebook group where like minded individuals like yourself are connecting, exchanging ideas and doing deals everyday. Mark was able to go from being a part-time investor with a full-time job in high tech, to someone who quit the corporate rat race in pursuit of his passion and now thrives as a multifamily investor. Mark Walker is founder of Luxmana Investments, which focuses on residential and multifamily investments. Mark has been an active real estate investor since 2004, so he brought a wealth of knowledge with him when he founded Luxmana Investments in 2011. He started out as a part-time investor––holding a full-time job in high tech––and his passion for real estate enabled him to escape the rat race of Corporate America. Prior to Luxmana, Mark succeeded in multiple development projects in the trendy Highlands and Berkley areas of Denver, Colorado. Since then, he’s acquired dozens of residential and multifamily income properties through Luxmana Investments LLC, which he founded in 2011, and Peak Margin Partners LLC, which he co-founded in 2013. Mark has successfully overseen the operations of his own assets, and that of other investors, in Colorado, Texas, Florida and Illinois. This includes his active involvement with MBP Capital and Catalyst Multifamily Management—a highly successful multifamily investment, management and brokerage firm. During this tenure, Mark has had property management oversight of his Dallas area multifamily portfolio, while assisting with acquisitions and dispositions of assets as well. Mark also spent over a decade at Seagate Technology where he held senior leadership roles in Marketing, Product Line Management and Sales. In addition to being a licensed real estate broker in Colorado, Mark holds a degree in Marketing from Oral Roberts University in Tulsa, Oklahoma. In his spare time, he enjoys theater, camping, cycling, and spending time with his wife and daughter. What is a cash-on-cash return in real estate investing? Eric accidentally got into real estate back in college when he and his wife decided to buy a house near the University. They purchased a 3 unit building, living in one unit and renting the rest. One night while watching a movie with his wife, he heard a knock on the door. It was one of their tenants there to pay rent. At that moment he realized that I would become a real estate investor. That was the easiest money he had ever earned in his entire life. At that moment he realized that I would become a real estate investor. Eric Bowlin started investing in real estate in 2009 with the purchase of his first three family property. He got into real estate full time at the end of 2011 and became financially independent at the end of 2015 when he quit his job forever. Now, Eric is working on larger multifamily deals and syndications. He owns or is a GP on over 470 doors in Massachusetts and Texas. 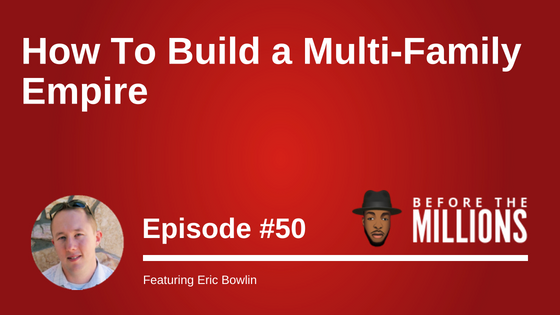 Also, Eric talks constantly about financial independence and is the founder of IdealREI (a top resource for real estate investors trying to achieve financial freedom) and Stacking Millions (a community where investors can learn and grow together). Buy Your 1st (Next) Real Estate Investment: The 12 Step Process. In this episode we walk through the exact steps that I teach my coaching students to ensure that they close on their first property this year. I know you are thinking that this is too good to be true – but believe it! I want to make sure that as many people who are looking for a process to follow are equipped with the know how to purchase their first rental investment in 2018. Simply click here to opt in our newsletter where the detailed 12 Step Process will be one of the first emails that you receive as we’ll be emailing you the best tips, tricks and strategies weekly to help you on your investing journey.